Villagers have been arguing that the mining and related operations pose a threat to their livelihood and those who resist are being framed as ‘Maoists’. In the recent years, villagers in Maharashtra’s Gadchiroli district have been forced to contend with three significant developments - iron ore mining in the forests, a spate of arrests and killings of ‘suspected Maoists’, and increased state militarisation - which they claim is threatening their livelihood. While the villagers are demanding implementation of the Forests Rights Act, 2006, and Panchayats [Extension to Scheduled Areas] Act (PESA), 1996, as part of their consistent resistance against the ongoing mining, the state government seems to be concerned only with ensuring the mining operations. 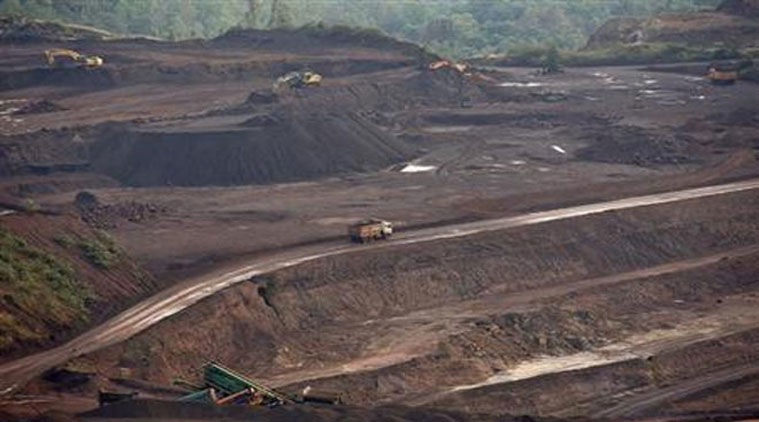 Gadchiroli is a mineral-rich district with total reserves of 178.61 million tonnes (MT) of iron ore, and 172 MT of limestone, among other minerals, according to the Directorate of Geology and Mining under the Maharashtra government. Currently, Lloyd’s Metal and Energy Limited has begun its mining process at Surjagarh village (Wooria Hills) in the district. The company was granted a mining lease of 348.09 hectares situated at Surjagarh village in Etapalli Taluka of the district in 2007 for fifty years (initially the lease deed was signed for 20 years and later the state government granted a further extension of 30 years). This is reportedly the biggest operating iron ore mine in the state. Gopani Iron, Corporate Ispat Alloys, and Jindal Steel Works Ispat are the other companies which have secured permission from the government for mining. However, as of now, these companies haven’t initiated their operations. It has been reported that the state government had issued about 25 prospecting licences to the companies to look for minerals, covering more than 18,000 acres of land in the district. In 2017, residents of nearly 70 villages had protested against the state government’s disbursal of mining licences, arguing that due process had not been followed, and the PESA, which empowers gram sabhas to decide how their traditional forests and land are used, had not been implemented. The Lloyd company actively began mining from the beginning of 2016, but at a slow pace as villagers had been opposed to it. The Maoists, on the other hand, have been involved in the destruction of dozens of machines used in mining. In January this year, villagers in Surjagarh region had launched a relay hunger strike outside the District Collectorate in Gadchiroli to protest against the mining. In December last year, hundreds of gram sabha members of Etapalli taluka held a massive protest march to the sub-divisional office in Gadchiroli, demanding that the government revoke the mining licences given to various private firms. The Scroll in May had reported that numerous villagers who opposed mining were framed as ‘Maoists’ and had been taken under arrest. In June, the Maharashtra police arrested an activist, Mahesh Raut, a graduate from the Tata Institute of Social Sciences, who had been involved in organising the residents and Adivasis in the district against mining, on charges of alleged links with Maoists. Although the Lloyd company was granted permission for mining in 2007, the threat from Naxals had prevented them from beginning their operations. In 2013, the Maoists reportedly killed an officer of the company and destroyed machinery worth of crores of rupees. In April, C-60 Commandos, the state’s anti-Naxal unit, had gunned down 40 alleged Maoists. However, numerous fact-finding committees, which enquired into the encounter, stated that it was a case of a “fake encounter” and nearly 20 of those killed were ordinary villagers from the Adivasi communities. Soni Sori speaking at the conference, 'Women in Prison, Women in Resistance,' recounted her experience in jail.